Where do I begin….I’ve been dealing with imagery in agriculture since I was 10 when my dad started Satshot. At the time in 1994 it seemed like imagery was going to be the next big thing after yield data since that intrigued so many at the time. The perception in the precision ag market place then was different. It was much more empowered by trying new things that were never done before and the size of the industry was very small at that time. But imagery stayed quite elusive in the background up until recently. I’ll dive in this more below. 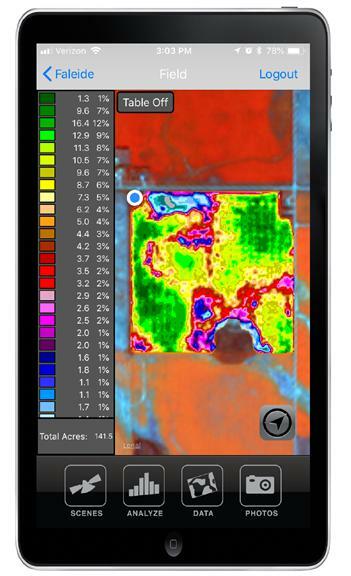 Mobile environments were non-existent in the early days of imagery in precision agriculture. The early days of imagery really revolved around a few dealing with satellite imagery — such as ourselves — and a few with aerial imagery. Both had their positives and negatives, which I won’t really elaborate, but the issue in the early days was mainly storage, processing, and delivery, and the cost and limitations of both. Everyone really liked to look at it but really didn’t know what to do with it. Variable rate application (VRA) was just getting going and most barely had the controllers to even do it and lacked the agronomic expertise to really understand it. (We actually did this in ’98 and maybe were the first ones to do VRA with an image but there were complexities involved.) Mobile environments were non-existent and most just saw it as a pretty map. Forward to today though and I won’t lie, much of these same issues exist. Why is this? One major issue with imagery is the perceived value it holds. In certain parts of the world, satellites are fine and will usually always be fine. In other areas the desire for higher resolution is there, but the need for it isn’t 100% understood. With the advent of drones, this dichotomy has spread even further with promises of better resolution equals better results even though the scalability is overlooked. Once again, not gonna go down that path really. Bluntly said, imagery’s problem is a lack of focus, pun intended. Not one solution fits all, be it resolution, timing, or cost. Many tools exist to interpret it, but few can scale it to the needs of the source and its users at the rate which is required while at a quality which is required. Also, more or better quality is not necessarily useful. To put it in perspective, one person lives fine with a driving a Ford Pinto while the other needs a pickup, but you have the guy that wants the Lamborghini but settles for the Corvette. In farming terms, if your applicator can only apply something 60 feet at a time, what good does 1cm or 1m imagery do for you. Your minimum resolution is 20m due to the boom width. Scouting is a whole other thing. Can you really manage correctly such a small area and compare it to other areas with similar growth in another area? Likely both areas have different reasons for why they are what they are. Can it be done? Sure. Is it always practical? No. What probably bothers me the most with imagery is how aggressively it is marketed as something it is not. It is the lack of core education surrounding it. Though imagery is at a respectable peak right now, this isn’t the first time nor likely the last that it will be the next big thing. What worries me is the next downturn could be right around the corner. Not because the value or data doesn’t exist but because of mis-education and the perceived value from the different sources. Basically, you’ll have one image source fighting another on which is better when that is not the issue. The issue is how to use it correctly and actually make it have the value it holds. One large problem now is many are devaluing it to a point to get user adoption while those same users see the data as low or no value destroying the market at the same time. For example, at Satshot, we’ve had to go against behemoths or well financed groups in the past only to watch them fall on their face and ruin the image of imagery. Some were billion dollar companies that perceived their vision as correct yet couldn’t deliver the data. Satellite imagery had value and showed results but ultimately, no one could get it to the user and because they couldn’t, the end users decided the value wasn’t there or it just couldn’t be done even though it could (wink wink). As a result, these groups swamped the market only to destroy it while we had to pick up the pieces and prove its value. This is one of many examples where bigger ideas get in the way of reality. Frustrating to say the least. Now jump beyond the above point with poor education on how to utilize imagery. There are many ways to interpret it and many algorithms that decipher it differently to highlight more specific patterns or problems. Many will promote that it shows exactly what can be done or what is happening, but how did they get to that point? Was it by ground truthing an area, an algorithm, or just simple knowledge of the field itself and trusting their intuition or something else? All have merits to certain degrees but none of those is the one and only way. Imagery has the advantage, especially with satellites, to have data to look at everywhere and anywhere on the globe and over time, past and present. This aspect is ever improving, but may ultimately result in so much data to look at that end users are going to have a hard time discerning what the best source is and the best way to use and market it at a reasonable cost. This is going to be a huge issue in the next 5 years, as it’s planned to put up over 500-plus new satellites for earth observation. And let’s not forget about other sources that will grow and spread — like drones and aerial — if they get some of their scalability issues in order. Is it possible to really run a fine tooth comb through all that data and get what you really are looking for, then understand what it is showing you? Did changes from one day to the other actually reflect something you understand, and if so, can you even fix it or change it for the better with the time and equipment you have? The answer is, it is really tough. This is where much of the machine learning comes into play, which is great to a point but without the proper input from the end user or someone with agronomic value adding to it, I’m not sure how great machine learning will help disseminate the gobs of data for the typical person in ag beyond “here’s a pretty picture and a change”. We are already starting to see that. So, how do we make sense of remote sensed data? I think the answer for now is finding the middle ground where the user isn’t overwhelmed by the amount of data, and isn’t requesting the best type of data but more a scalable quality that works for their operation. One that doesn’t cost an arm and a leg, and finally one that works well with the other data they utilize — be it in an another program, dataset, or in their head. What I’m saying is, we as an industry need to keep imagery simple. We don’t need to exaggerate what it can do. Of course, to some degree data can do things past the point of what we need, but when it comes to the task at hand, don’t overcomplicate it. In the agriculture industry when combined with the remote sensing imagery portion of it, the one thing I’ve learned that it is all about how you get the data to the user and what their interpretation of it is based on what they know of the field so they can create value. Be it an agronomist, grower, crop insurance adjuster, or other trusted advisor, the human element to understanding what the image is showing to them is just as important as what is possible with the imagery itself. A picture is indeed worth a thousand words, but we don’t need to have a book written about it. While counting plants with an image is cool, driving a 4-wheeler around and getting some country air while using basic math works just as well for most. What I’m saying is, don’t use imagery for something that it isn’t ready to be used for. It’ll get there maybe but just use it to help you understand your fields a little better and try some things out that are comfortable to you. Don’t let it dictate your decision, let it help you make it while being careful of empty promises and hype that in the end gets you nowhere. What imagery does really great is showing you differences relative to other areas of the field or area. It doesn’t tell you why really at this point but with a little patience and some understanding it’ll help you figure that out for yourself. Hey, it’s worth a shot. Nathan Faleide is the CEO of Satshot, an agricultural remote sensing software system specializing in satellite imagery. He has been involved in the precision ag industry for more than 20 years working alongside Satshot, which was started by his father, Lanny, in 1994. 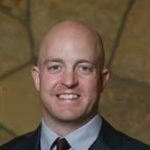 Recently, he also worked directly with groups focusing on precision ag integration into crop insurance and governmental reporting. Since a young age, Faleide has traveled throughout the world because of agriculture, which has allowed him to see how technology adaptation in this industry has evolved. This experience, along with farming himself and his upbringing, has created a passion toward farming and precision ag that he hopes to share now and into the future. You can contact him @satshot or @nfaleide, or via LinkedIn. See all author stories here. Fantastic! i wish i would have written this. i have the same frustration after being in the industry for 15+ years, and seeing all these newcomers promising the world, and we are left to sort through the hype and mess left behind. Well written and hope a lot of people read and respond. thanks for sharing. Well written as usual Nathan! Spot on!!! There are some promising ways in doing it like taking high resolution picutres (sub mm) of maybe 1m2 in an hectar and analysing it, then extrapolating it for this hectare… but… you can’t see under the leaves where many diseases are…. But someday it must be possible to get very high resolution imagery being processed in real time to get a glimpse of what is going on on a daily basis, so that agronomist can take their decisions or? If computing cost decreases 1000x in the next 10 years? And the cost to adquire the data too?